Does Banana Peel really whitens your teeth? 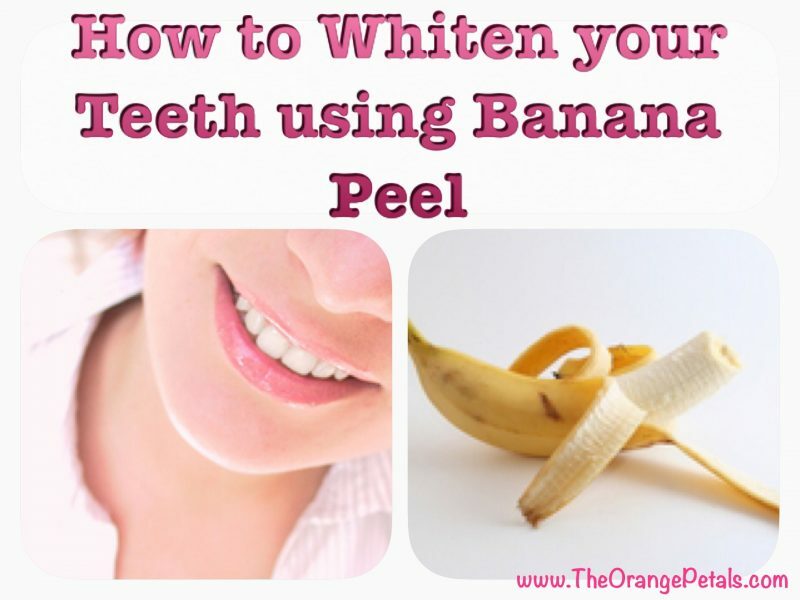 Does banana peel really whitens the teeth?? Yes.. Even I had this doubt before trying it and to my surprise it really does. So why can’t you also try it. It’s so simple. Banana and its peel contains high amounts of potassium, magnesium and manganese and which when applied to the teeth, it removes the stains and whitens them. So just follow the easy steps which I too followed from here. Does banana peel really whitens the teeth?? 1. Get a ripe banana. ( it should not be too ripe or not ripe at all. ) This is to ensure that the peel contains high potassium in it. 2. Open the banana from bottom to stem and not from stem to the bottom. ( We normally peel it from stem to bottom). 3. Take a small part of the inside part of the peel and gently rub on your teeth. Do this on all your teeths atleast for 2 min rubbing gently. 4. If any of your teeth has more stain, then do rub for some more time. By doing this, all the minerals gets absorbed by the teeth and the minerals makes the the teeth whiten. 5. Now brush your teeth as usual and check the difference. Along with the minerals, the peel contains calcium and vitamin D as well, which gives strength to the teeth. You can do this twice a week for good results. So try it and share your opinions.